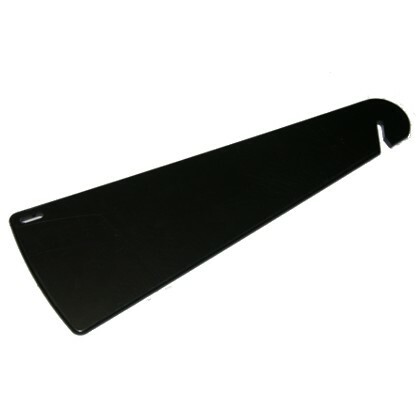 Use for new or replacement cargo straps, hatch straps and backrest deck straps common on Ocean Kayak brand boats (same as OK part number 07.3030.0000, see photo to right). 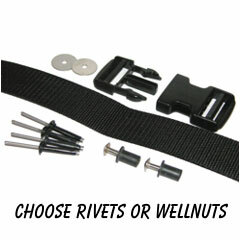 Kit includes four feet of 1.5 inch webbing strap, two stainless steel washers, one 1.5 inch dual adjust side release buckle, and four rivets (two extra rivets) or two well-nuts (select below) plus instructions. Maintenance Of Large Cargo Hatches. 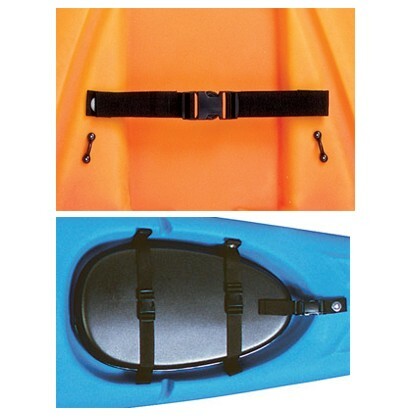 Basics of Strap Eyes, Rivets & Well Nuts Info for Customization and Repair of Your Kayak. Scupper Pro Hatch Repair Part 2 of 3 Drilling out rivets and new strap fabrication. Scupper Pro Hatch Repair Part 3 of 3 Strap install, working with tri-glides and buckles.